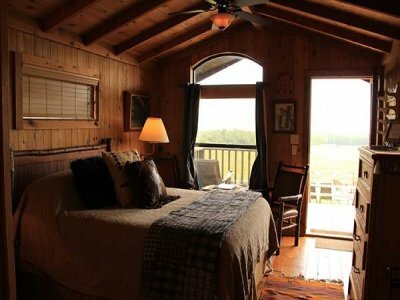 Our guest reviews make us Top Ranked for Fredericksburg specialty lodging. 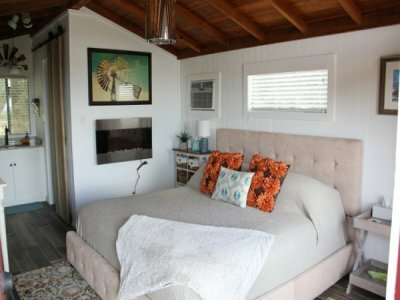 Check us out on Tripadvisor.com! 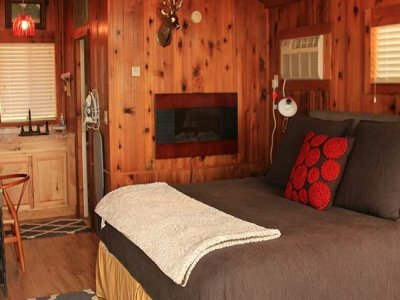 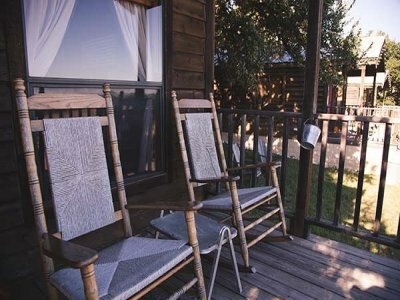 The Cabins at Red Rock bed & breakfast is ideally located among the scenic hills between Main Street Fredericksburg and the popular Highway 290 Wine Trail. 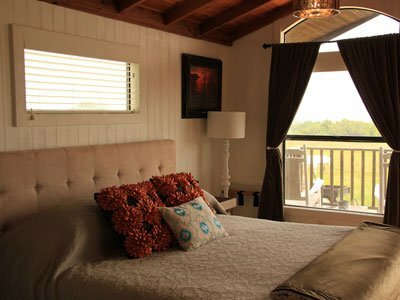 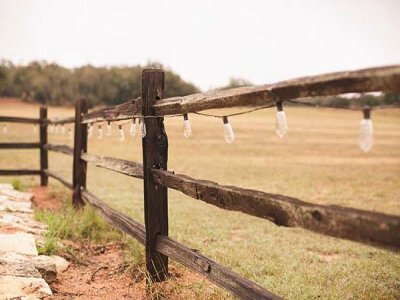 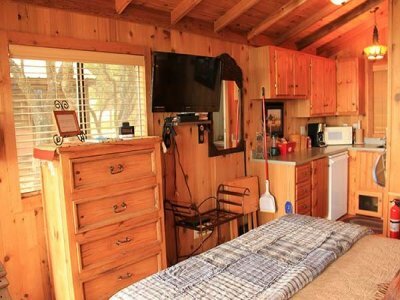 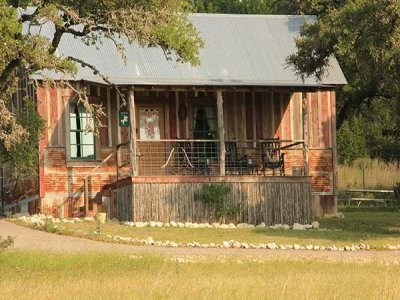 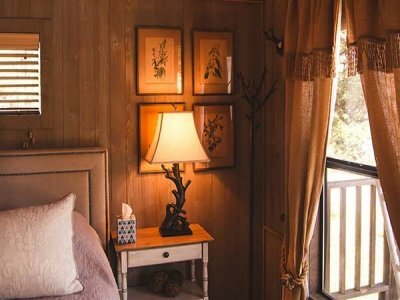 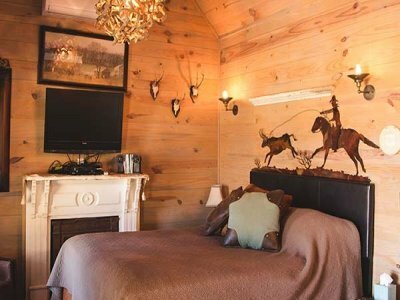 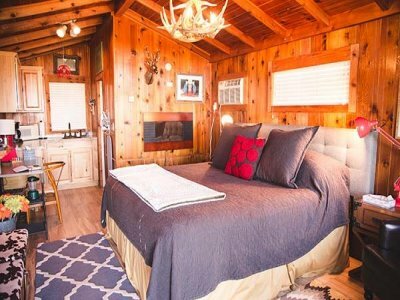 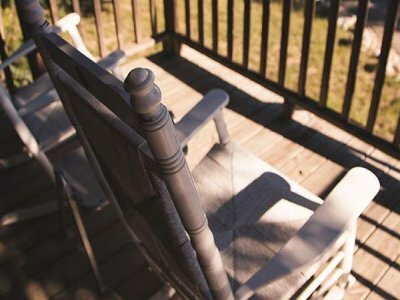 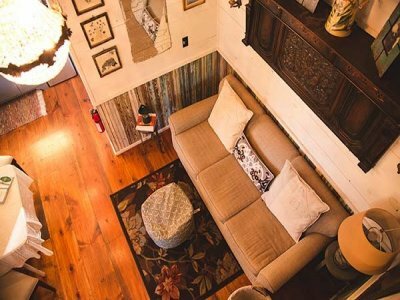 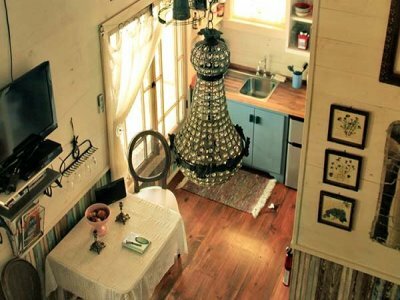 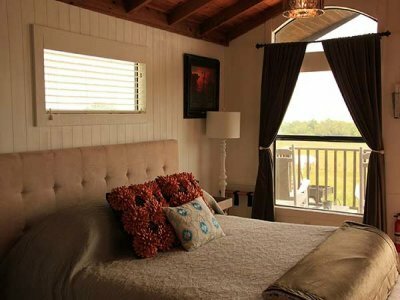 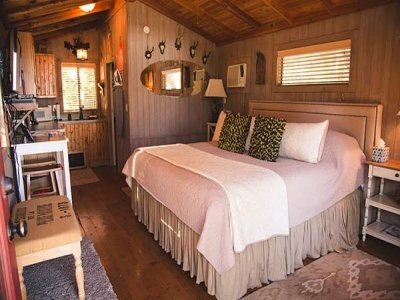 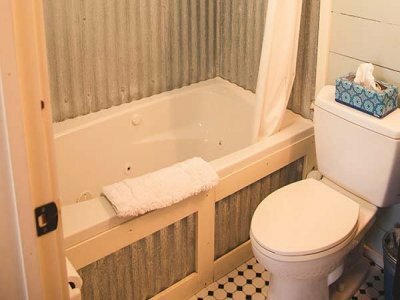 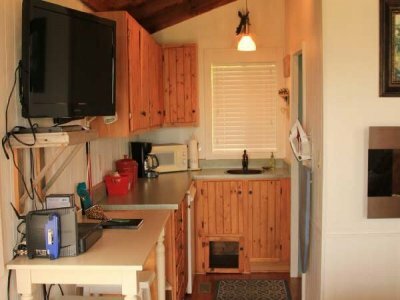 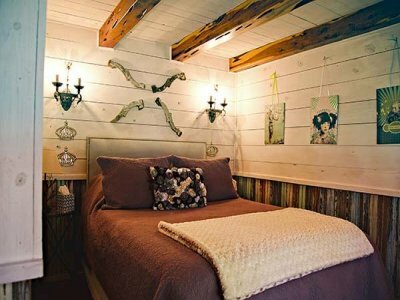 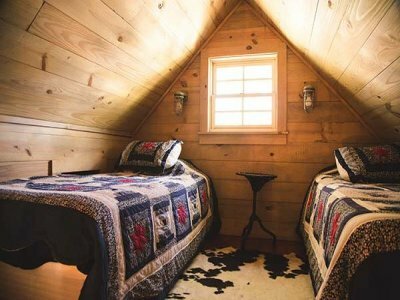 The cabins each offer exceptional views and private accommodations with the convenience of being close to all that Fredericksburg, the Wine Trail, and the Texas Hill Country has to offer. 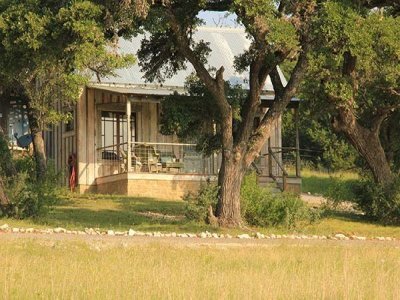 Deer and longhorn cattle graze the fields, and the occasional turkey and Jackrabbits make their appearance. 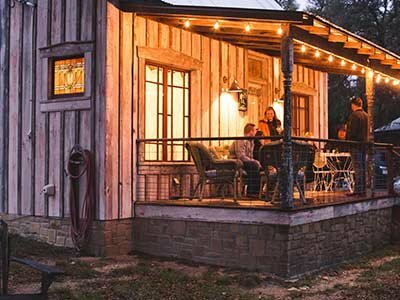 Gather with friends in the outdoor common area that is equipped with picnic tables, a grill, plenty of seating and a large fire pit. 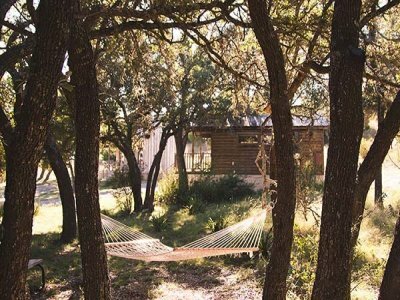 Lounge in our hammocks, play a game of horseshoes or washers or take a dip in our "Cowboy Hot Tub" - complete with an outdoor shower. 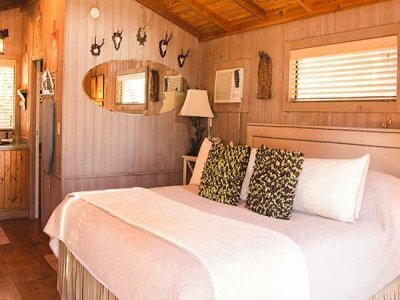 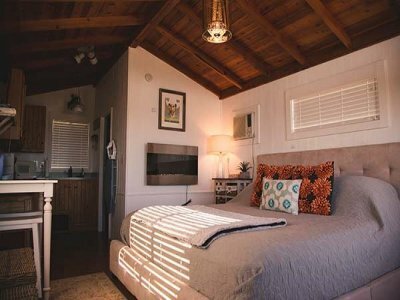 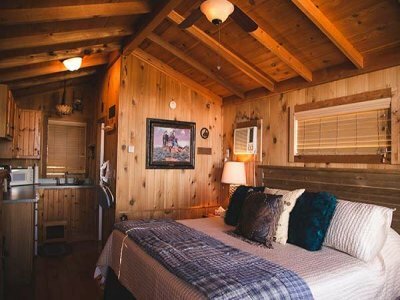 Each themed cabin is equipped with quality beds, air conditioning and heat, private baths, and fully equipped kitchenettes. 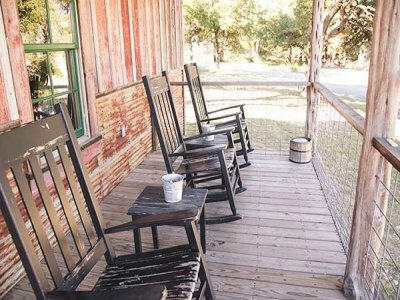 Away from the city lights of Fredericksburg, the star gazing is exceptional and not to be missed. 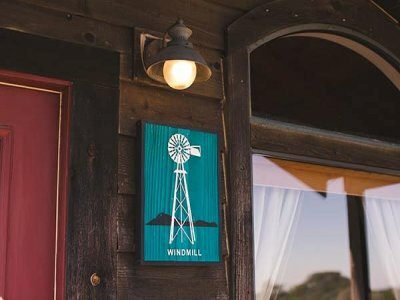 Our property is less than a ten-minute drive to Main Street shopping, and a 10 -15 minute scenic drive in the opposite direction lands you among the most popular Wineries in the Hill Country. 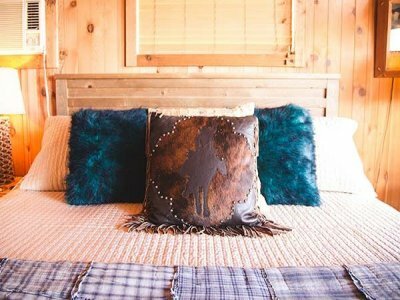 Visit Luckenbach, Wildseed Farms, and Fredericksburg Trade Days, all within a short distance of Red Rock. 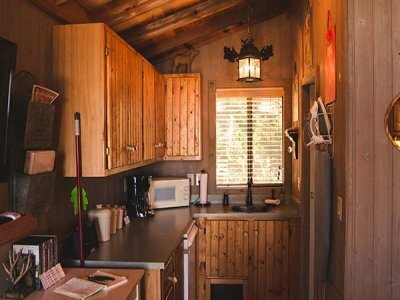 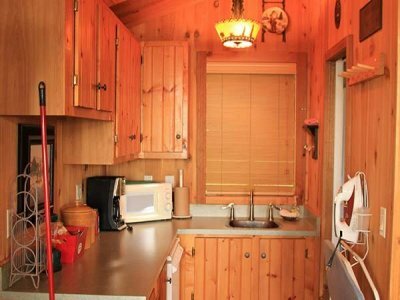 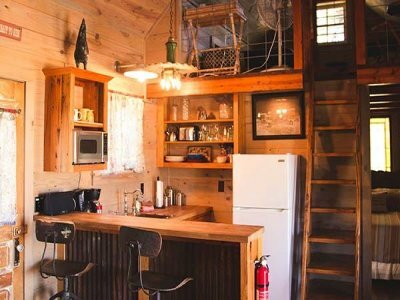 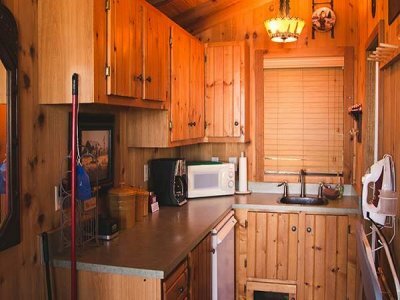 The Cabins at Red Rock offer homemade breakfasts on Saturdays and Sundays! 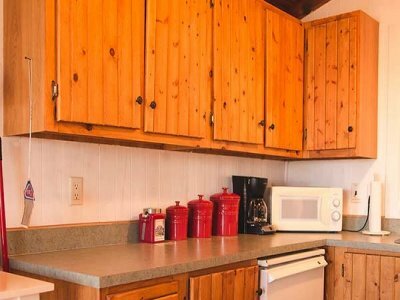 For just $12 per plate we prepare and deliver a gourmet, from-scratch, hot breakfast directly to your front porch. 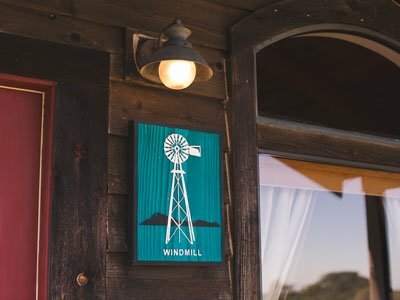 Orders must be placed 24 hours in advance.